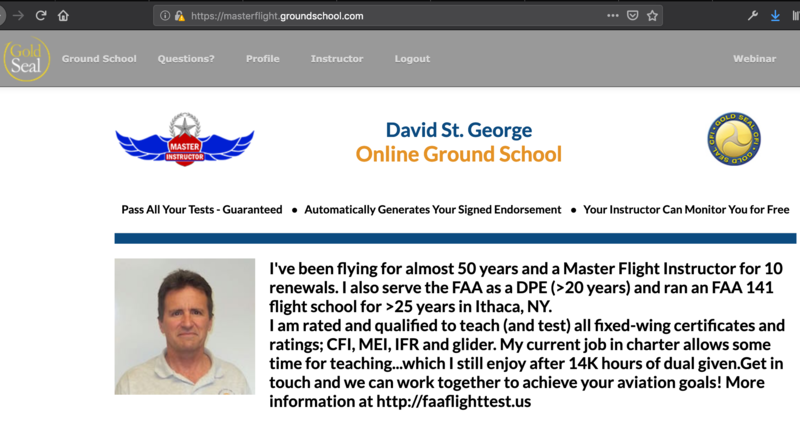 Author David St. GeorgePosted on April 13, 2019 April 13, 2019 Categories IFR Currency and Technique2 Comments on IFR into “Non-Controlled” Airspace! 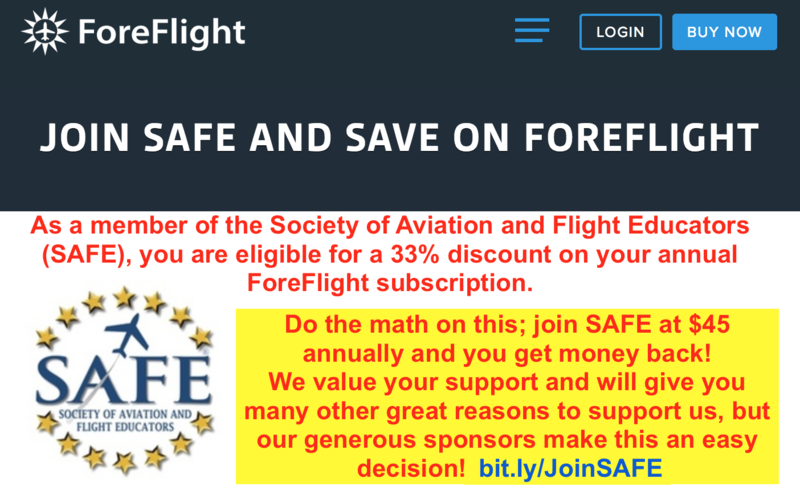 Author David St. GeorgePosted on April 7, 2019 April 8, 2019 Categories CFI Technique, CFI-PRO™Leave a comment on SAFE CFI-PRO™ Released @ SnF! It’s beautiful here in Florida as we count down the days to Sun ‘N Fun 2019 (2K overcast and 1 celcius back home…). The SAFE show booth this year (C building 53-55) will be a triple with the full Gold Seal Studio *and* a Redbird Horizon TD (3 Screens) for CFIs to practice teaching scenarios for the Pilot Proficiency Center. Thanks to collaborators Redbird Flight Simulations and Community Aviation for making this happen. Please stop by and try this fully provisioned simulator (Cloud Ahoy, ForeFlight all operational in a virtual flightscape). Jon Harden who writes the SAFE CFI Insurance Program will be at the booth every day from 1-2PM also. At the heart of flight safety is the aviation educator. Our cadre of professional instructors interact and wrestle with flight training and proficiency on a daily basis – we are on the front lines of safety. By elevating the level of skill and professionalism of the aviation educator, we exponentially improve every pilot and reduce loss of control accidents. At SAFE, inspiring and enabling aviation excellence is our core mission. We not only do this on a daily basis with resources, tools and advocacy, but now have a great new program rolling out to enhance your learning; CFI-PRO (more soon!) What qualities/skills/aptitudes make a truly great aviation educator? And are these skills and secrets currently taught, or is that kind of education even possible – born not made? Let’s look at this together. Our current FAA system for pilot (and CFI) certification is only designed to guarantee “good enough” (if everything is done correctly in training and testing). We work very hard and often only achieve a “minimum viable product.” Though some applicants are a lot better than the minimum, as DPEs we are counseled to assure each applicant that “perfection is not the standard.” Our FAA system assures that every new pilot achieves the ACS minimum level of safe, smart and skillful. And though I fought with this idea initially to raise the regulatory standards, would we really want a harder, more comprehensive CFI intitial? The process of achieving excellence and exceeding the standards is voluntary. This responsibility for continued improvement falls not only on the pilot but also directly on the educators. It is our responsibility to model excellence and to inspire, motivate and educate our aviators as they continue to grow from “good to great.” With your FAA 8o60-4 (temporary), the learning has just begun! So the challenge to every caring pilot and commited, safe educator is to exceed the minimum FAA standard and commit to lifetime learning and continued growth. Our aviation world is changing and growing daily and we need to adapt and grow to stay safe. Our job is also motivating and inspiring continuous improvement in our clients as we simultaneously persue excellence in our own careers. And though the Master Instructor is the obvious target for many CFIs, of the 101,000 FAA-certificated CFIs in the United States, fewer than 800 of them have successfully earned Master CFI accreditation. For many part-time CFIs, full MCFI accreditation is a daunting challenge. But SAFE membership and commitment to CFI professionalism is worthy path to excellence. There are two very different domains evaluated to become a flight instructor through the FAA system and each is a worthy target for improvement. The technical flying skill – piloting – is based on physical talent, training and experience. And for initial certification, a basic level is almost assumed here since every applicant has climbed the aviation ladder through at least the commercial level to apply for CFI. The new and challenging domain evaluated on the CFI test is mastering and demonstrating effective communication and teaching ability (on the white board and while simultaneously flying). And the term “flight instructor” is badly flawed because this person is actually an aviation educator, motivator, and coach all rolled into one. A great deal of “flight instruction” is more properly education that happens not just in flight but on the ground, online, in a simulator…etc. For both newly certificated pilot and aviation educator, growing the flying skills requires pursuing more “exciting” flying – getting out of your “comfort zone” – to expand your personal flight envelope. This also keeps us motivated and charged up as educators combatting “right seat rust.” I personally think every flight instructor should be upside down a bit (because planes can go there). And the one or two spins required for CFI certification are an embarrassing minimum for CFI competence that should be continually refreshed. If you never go to the edge of the envelope you are vulnerable when suddenly tested by an “instructional surprise” (it might happen). I also personally think every pilot should try a tailwheel or a glider to experience the wonders of adverse yaw and the necessity for real rudder control. These opportunities are everywhere (and less expensive than you might think). For the CFI we have many wonderful maneuvers that are perfectly legal in Part 23 trainers, that will expand your personal skills and be a great challenge for your clients. These include turning stalls (which are in the ACS and available to be tested at the private pilot level) rudder boxing, dutch rolls and steep turn reversals at 180 and 90 degrees of turn. If you don’t know what these are, find a CFI that is proficient and get some practice. Each of these maneuvers is a tool in the experienced instructors palette to enhance the safety of their clients. Surplus proficiency (margin) defeats LOC-I. A second area to grow for your CFI abilities is in the human interaction world of communicating and teaching. Consider digging further into learning theory and the many wonderful books available free online. Refresh your perfunctory FAA exposure to learning theory with a good review here. Then dig deeper into the amazing new texts and courses to expand your technique and improve your effectiveness. A large part of aviation education improvement has nothing to do with flying but requires a keener understanding of human psychology and motivation. Working with youth groups like Young Eagles or the Aviation Explorers will expand your abilities and challenge your educator skills. And watch for our CFI-PRO clinic coming up this fall. A third domain never trained or tested by the FAA but essential to success in aviation education is leveraging your emotional intelligence (a foreign world for many pilots). Though “failure to establish and maintain a strong student/instructor relationship” is repeatedly listed as the primary reason for the loss of instructional effectiveness and failure in training, there is no FAA training for emotional intelligence, compassion or empathy. And these are the qualities most often listed in surveys as the marks of a great flight instructor. But how do you teach passion and caring? The only way to develop and maintain this elusive quality is to invest daily and completely in what you are doing. Being a “people person” does not come naturally to many pilots. You need to truly like your job and socialize be a good CFI in the community. Staying excited about flying keeps you motivated and fresh for teaching – all the repetition requires variety to avoid burn out (again, try to fly other aircraft and missions as much as possible). The ultimate secret is to realize that every lesson is the first time for your unique client. Making that very personal focus your primary awareness helps grow better pilots one individual at a time. Fly safely (and often)! 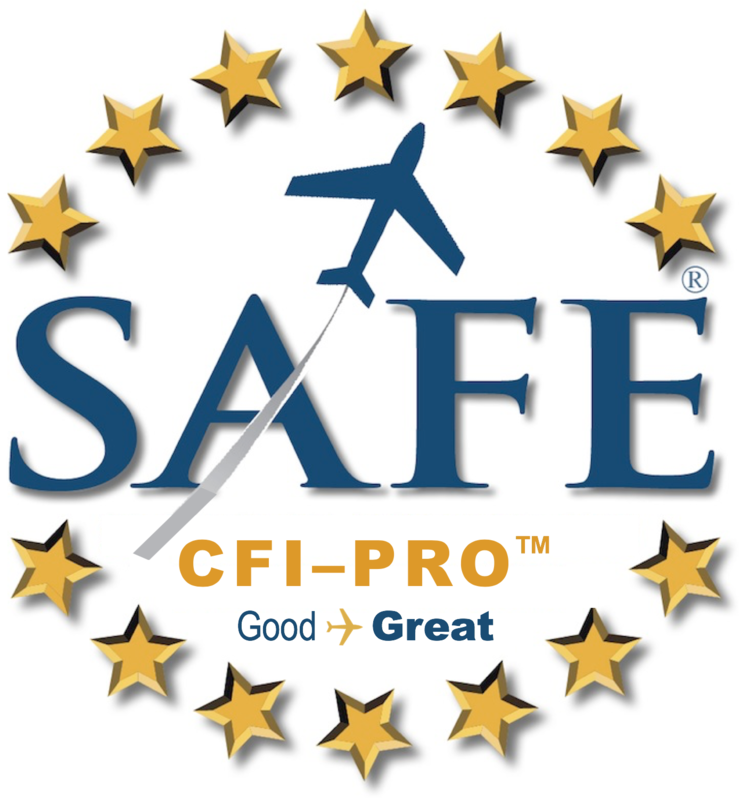 Author David St. GeorgePosted on March 3, 2019 March 3, 2019 Categories CFI Technique2 Comments on SAFE CFI-PRO®; Good to Great!